http://www.radiosoundstage.com/audio/soundstage_podcasts/soundstage_20121223.mp3The 2012 holiday fundraiser performance of the Studio@620 WMNF Radio Theater Project at the Palladium Theater included It’s a Wonderful Life and The Continuing Adventures of Noel Berlin, Cabaret Detective. The recording was broadcast on WMNF’s Soundstage on December 23; you can listen on the podcast here: http://radiosoundstage.com/2012/12/soundstage-broadcast-for-dec-23-2012/. 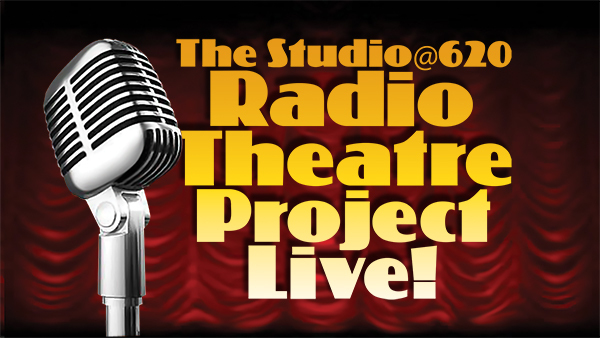 Come out to the January 2013 performance of the Studio@620 WMNF Radio Theater Project on January 21 at 7pm. Radio Theatre returns to The Studio@620 with Day of the Onondaga by Bill Leavengood, Shelter by Matt Cowley, Eugene Oregon and the Case of the Best Sandwich by Jim Rayfield and The Continuing Adventures of Noel Berlin, Cabaret Detective by Paul Wilborn and Matt Cowley. Performances are Free and Open to The Public and will be signed for the Hearing Impaired. Join in the fun as live radio theatre takes center stage complete with sound effects! Each radio play is broadcast at a later date on WMNF 88.5 FM HD 3 during the Soundstage Audio Theatre program on Sundays at 9 PM. Join us once a month as we embark upon our fourth season of live radio theatre! Sunday December 9 @ 7PM Don‘t Miss The Radio Theatre Project benefit performance of the beloved holiday classic “It’s a Wonderful Life” held at The Palladium. Tickets are $18, Students $10 and can be purchased at The Palladium Box Office, 727-822-3590 . Let us put you in the holiday spirit with music, gifts and the magic of radio. Plus a special episode of “The Continuing Adventures of Noel Berlin, Cabaret Detective” written just for the occasion.